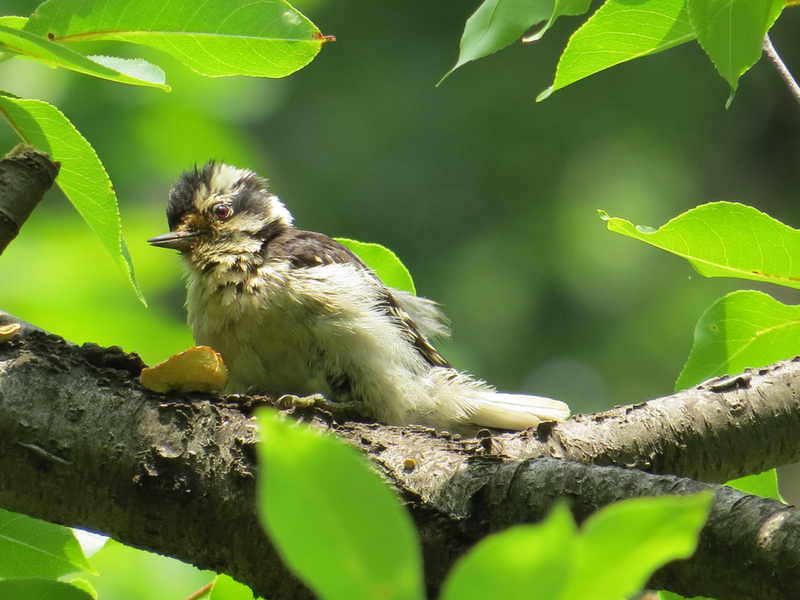 The small downy woodpeckers (Dryobates pubescens) always bring a smile. They are particularly fond of peanut butter, and love dining on the peanut butter in the coconut shells at the feeders in the Ramble in Central Park. I've had downy woodpeckers sit on a fence in the North Woods and wait for me to open my bag for peanuts. Sunflower seeds don't cut it. Peanuts are what they want! A female downy in Riverside Park near 116th Street, March 2, 2016. Left: July 1, 2015, the Ramble, Central Park; right: March 3, 2016.